Eime, R., Harvey, J., Charity, M., Nelson, R. (2018). 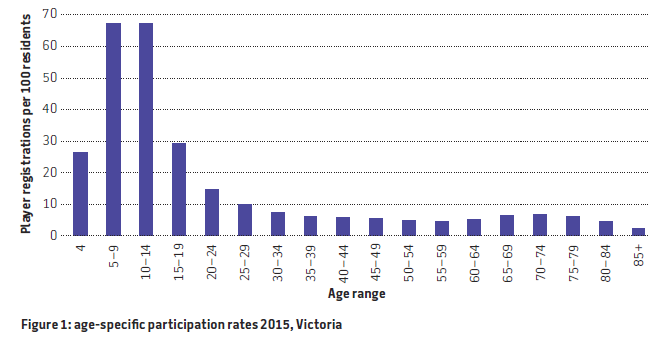 Demographic characteristics and type/frequency of physical activity particiation in a large sample of 21,603 Australian people. BMC Public Health. 18:692. 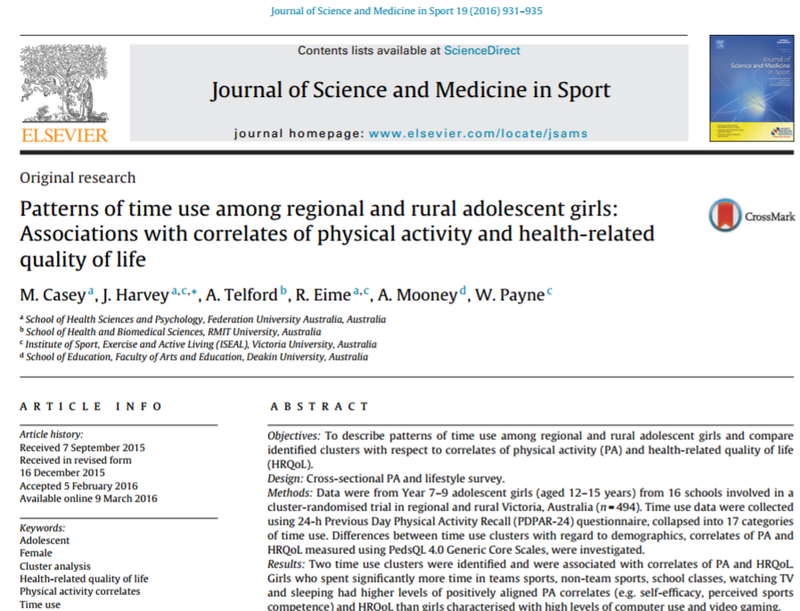 Casey, M., Harvey, J., Telford, A., Eime, R., Mooney, A., Payne, W. (2016) Patterns of time use among regional and rural adolescent girls: Associations with correlates of physical activity and health-related quality of life. 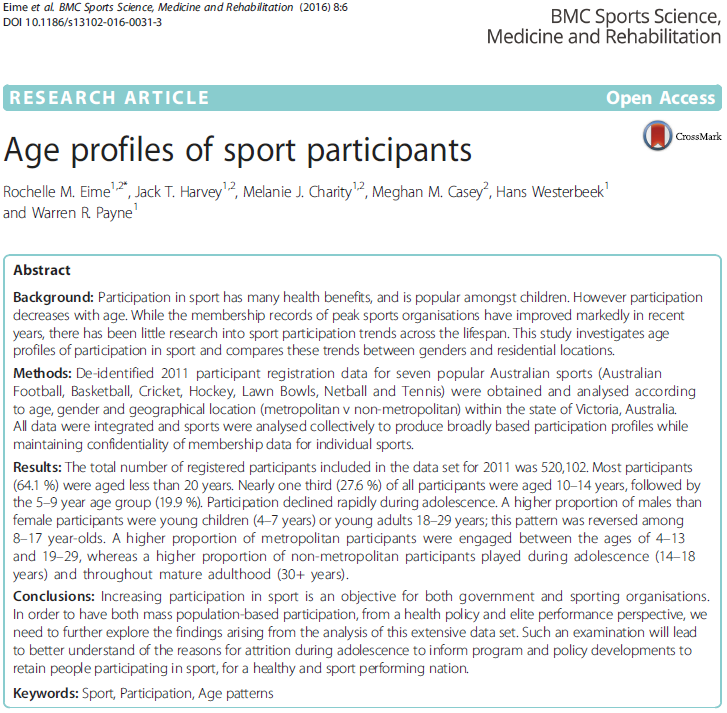 Journal of Science and Medicine in Sport. 19. 931-935. 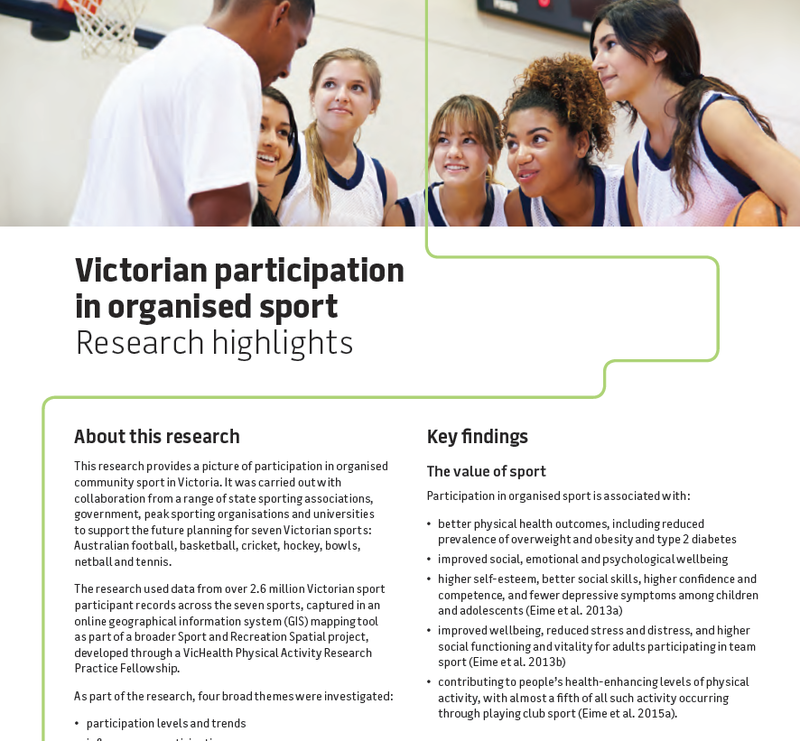 This research provides a picture of participation in organised community sport in Victoria. 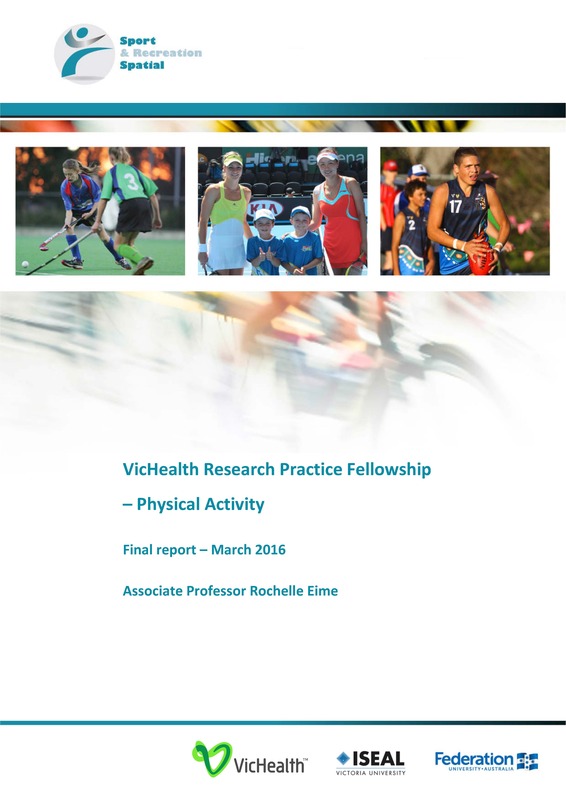 This report integrates the results of a number of separate research studies conducted through the VicHealth Research Practice Fellowship. van Uffelen JGZ, Jenkin CR, Westerbeek HM, Biddle SJH, Eime RM. 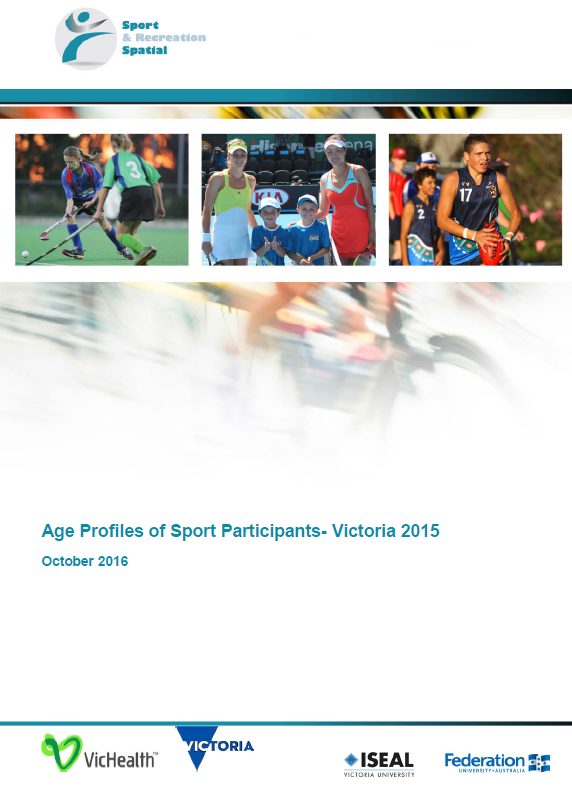 Active and Healthy ageing through sport. 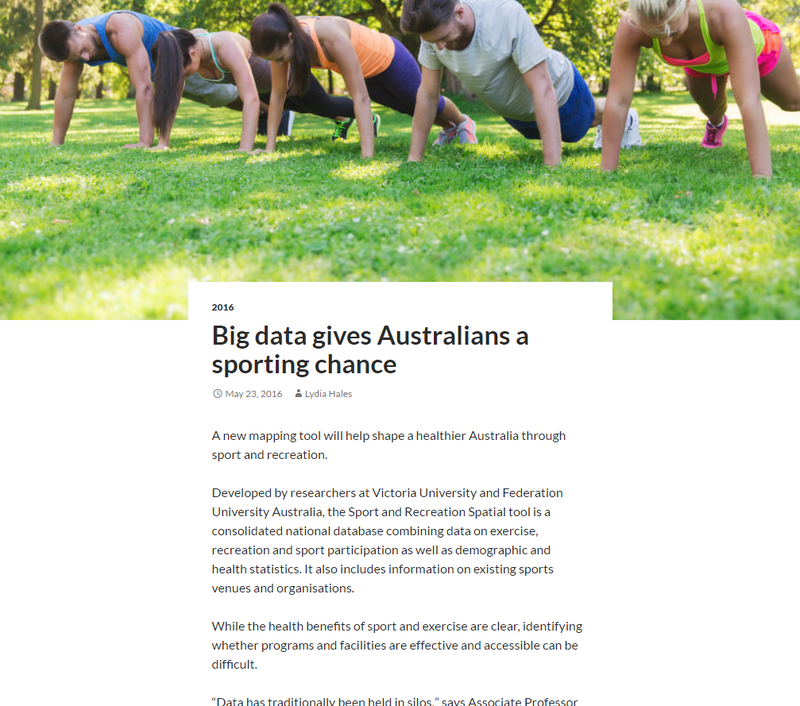 Report prepared for the Australian Sports Commission. 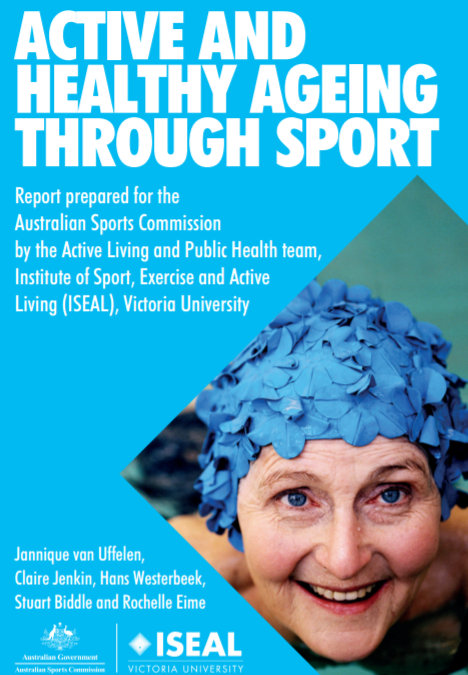 Victoria University, Institute of Sport, Exercise and Active Living (ISEAL), 2015. 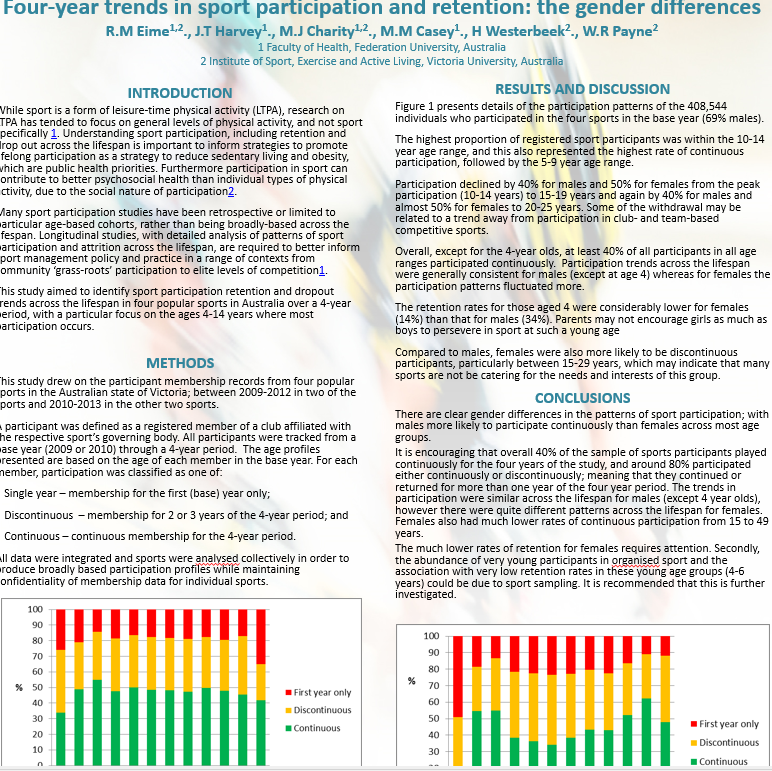 Four-year trends in sport participation and retention: the gender differences. Eime, RM., Harvey, JT., Charity, MJ., Casey, MM., Westerbeek, H., Payne, WR. 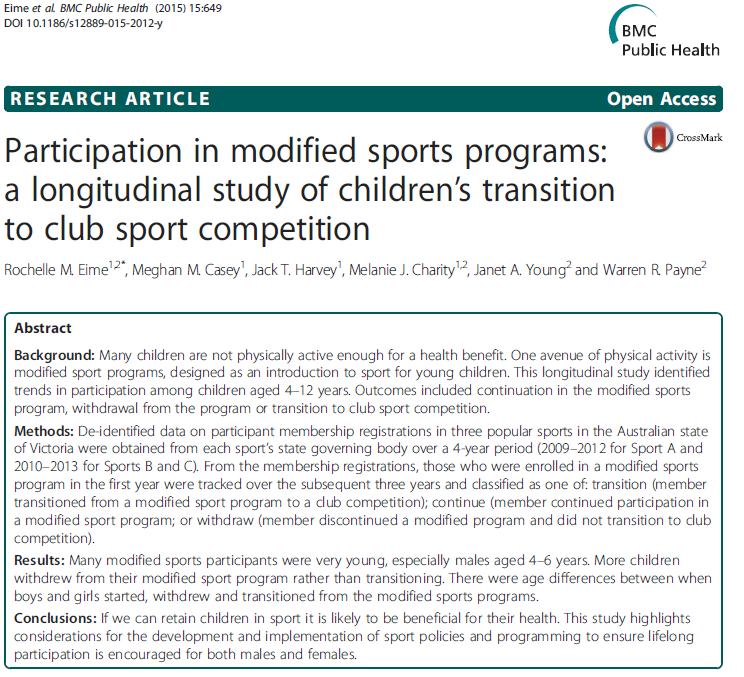 Winner of best poster - Physical Activity and Health Promotion. ASICS Sports Medicine Australia Conference 2015. 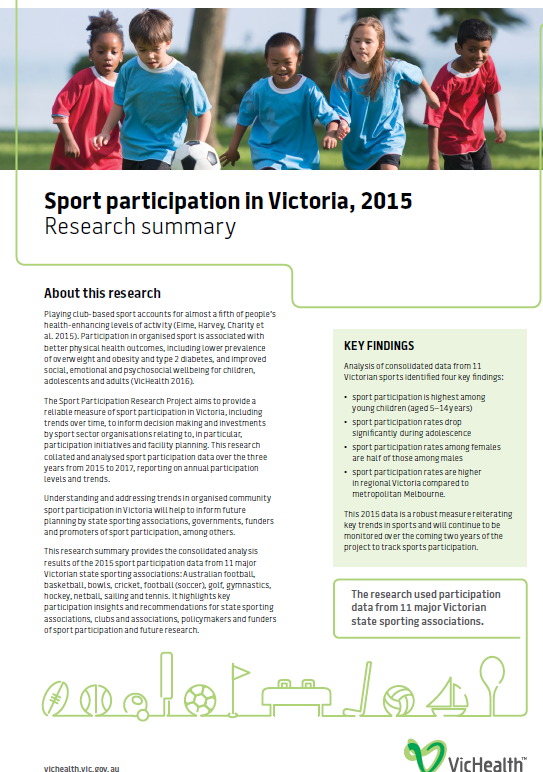 This report was commissioned by Sport and Recreation Victoria. 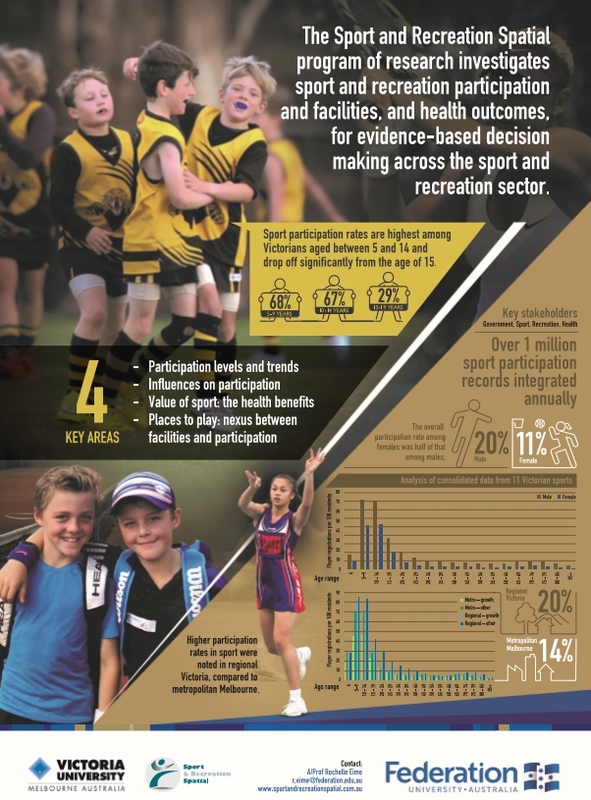 This report integrates the results of four separate research studies, three based on annual Victorian player registration data for five popular sports (Australian Rules Football, Basketball, Cricket, Hockey and Netball) for the period 2010-2012, and the fourth based on national data from the 2010 Exercise, Recreation and Sport Survey (ERASS) commissioned by the Australian Sports Commission. Eime, R., Payne, W., Casey, M., Harvey, J. 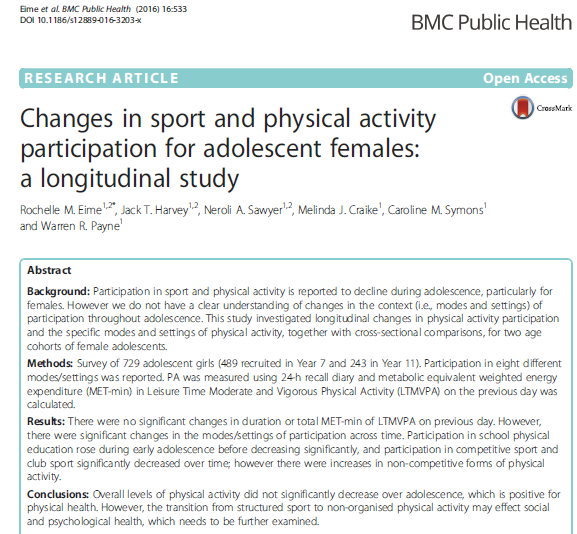 (2010) Transition in participation in sport and unstructured physical activity for rural living adolescent girls. Health Education Research. 25. 282-293. Eime, R., Payne, W, Harvey, J. 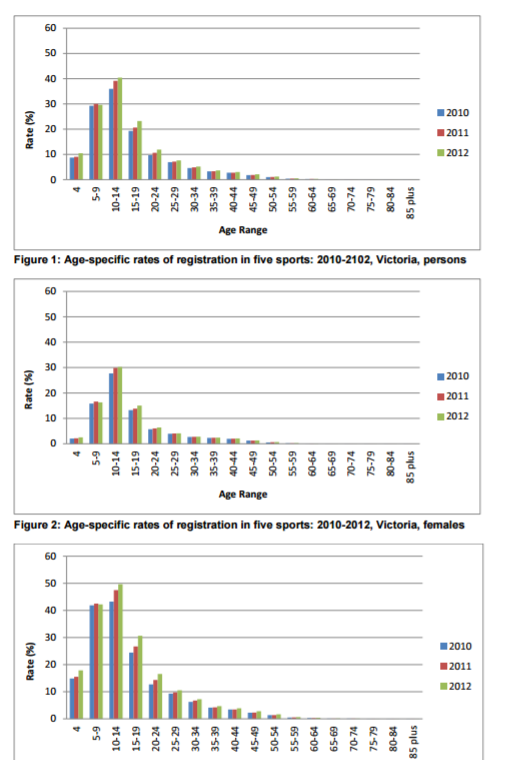 (2009) Trends in Organised Sport Membership in Victoria: Impact on Sustainability. 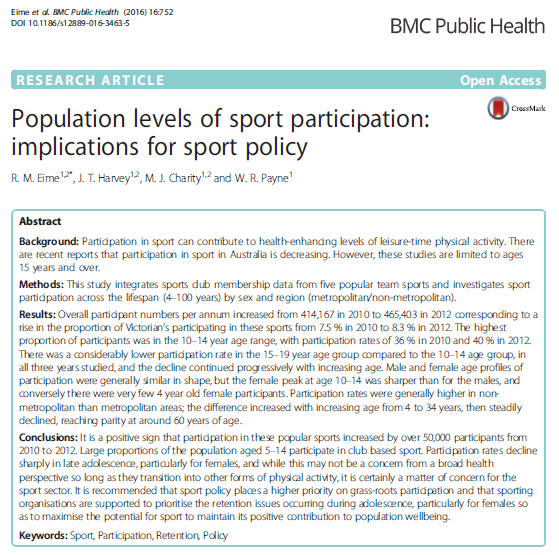 Journal of Science and Medicine in Sport. (12) 123-129.